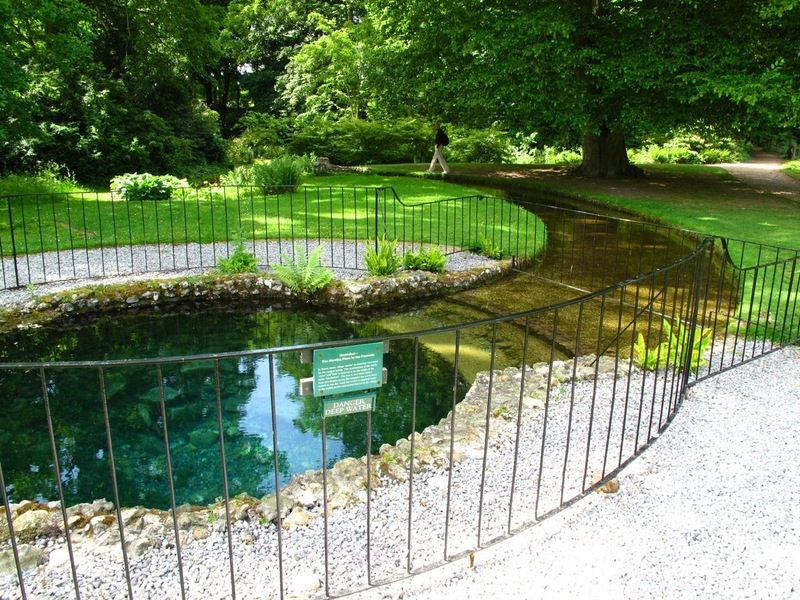 In Saxon times, just a few yards from the River Test lay a natural, spring-fed pool, or ‘font’, over three metres deep. The font provided the focus for village meetings, or ‘moots’, and so it is believed the curious name Mottisfont came into being. 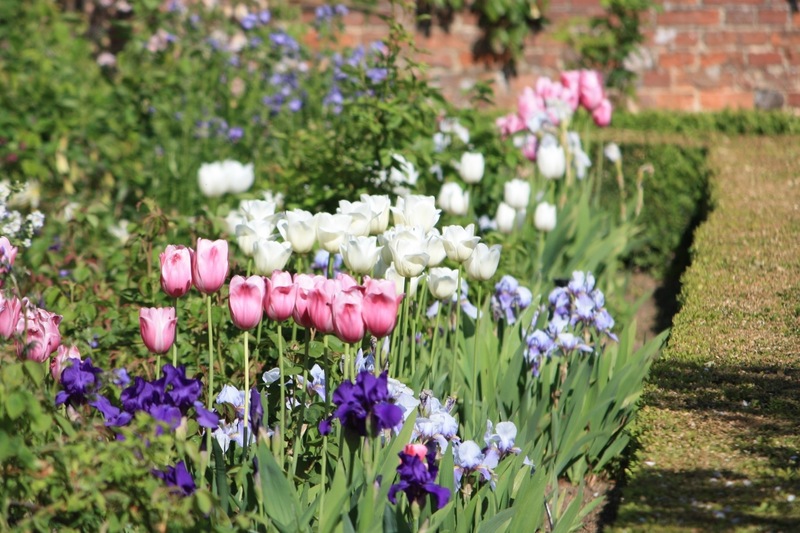 Starting out life as a priory, the estate at Mottisfont had a succession of colourful owners, eventually becoming a country retreat for Maud and Gilbert Russell, a well connected, art loving couple from London. Mrs Russell arrived in 1934 and employed artists such as Rex Whistler to decorate the main reception rooms. I find Whistler’s work completely mesmerising – the illusions he created are so exceptional that you almost believe you could reach out and touch them. Outside, Mottisfont’s grounds benefited from the attentions of four of the gardening world’s greatest designers and plants people. The Russells began by employing society garden designer Norah Lindsay, an aristocrat, who created a box-edged parterre on the south lawn echoing the design of one of the house’s windows. She insisted the beds be filled with blue and cream bedding plants in spring and yellow and mauve plants in summer. These lovely combinations still persist in the spring planting of the rose garden, where soft yellows, greyish mauves and delicate pinks offer a foretaste of the display to come. Next came Geoffrey Jellicoe, one of the foremost designers of the day. Despite his expertise, Jellicoe’s designs for a further parterre on the north lawn were rejected by Mrs Russell. 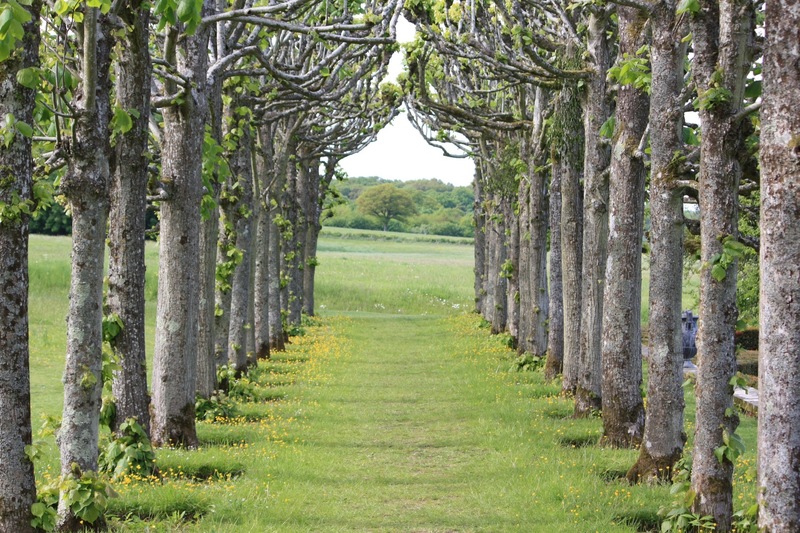 A pleached lime walk, yew octagon and terraces did meet with approval and have matured into fine garden features. Following Jellicoe in the procession of fine gardeners came Russell Page, who in 1938 was asked to recommend new shrubs for the garden. His introductions included Schizofragma integrifolium, Feijoa sellowiana and Hoheria lyalii, which are still flourishing in the garden today. In 1957 Maud Russell gave the house and estate to the National Trust, continuing to live there for another 15 years. When she finally moved to a smaller house in the village, the late, great Graham Stuart Thomas (who was the Trust’s first Garden Advisor) decided to move his collection of old-fashioned roses into the vast walled gardens. So began a garden which is now famed for its world class collection of roses, many varieties dating back before 1900. Any hopes of an early preview of the famous June display were completely dashed by the coldest spring weather in 50 years, however a few blooms braved the elements and made an appearance. 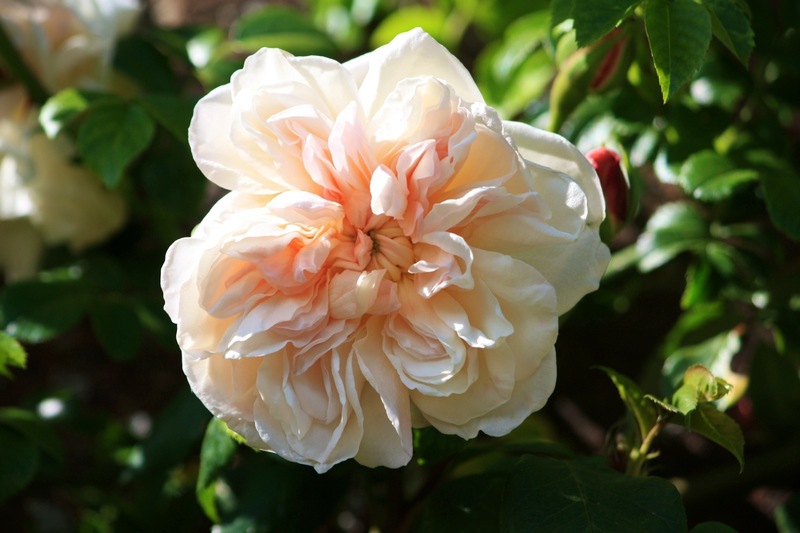 The first was a pretty climbing noisette rose called ‘Desprez à Fleurs Jaunes’, which dates back to 1935. 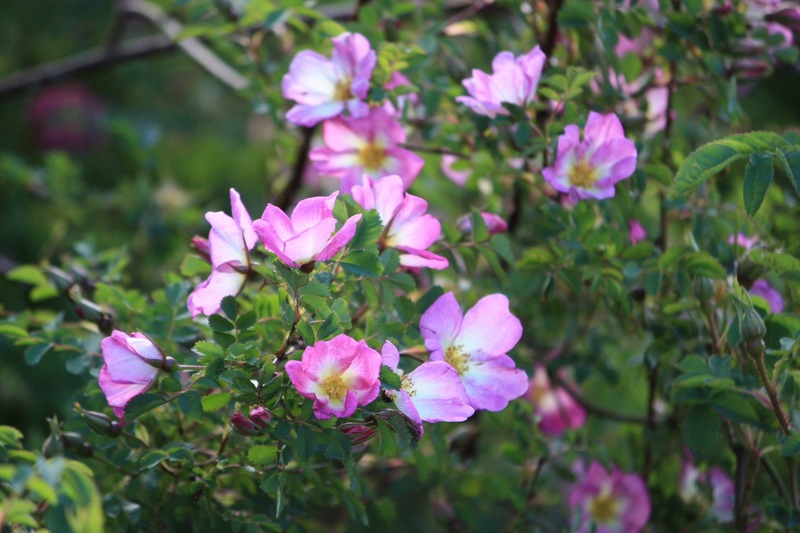 With smaller, simpler flowers was R. spinosissima ‘Glory of Edzell’, a rose with thorns more like needles – spinosissima by name and spinosissima by nature. 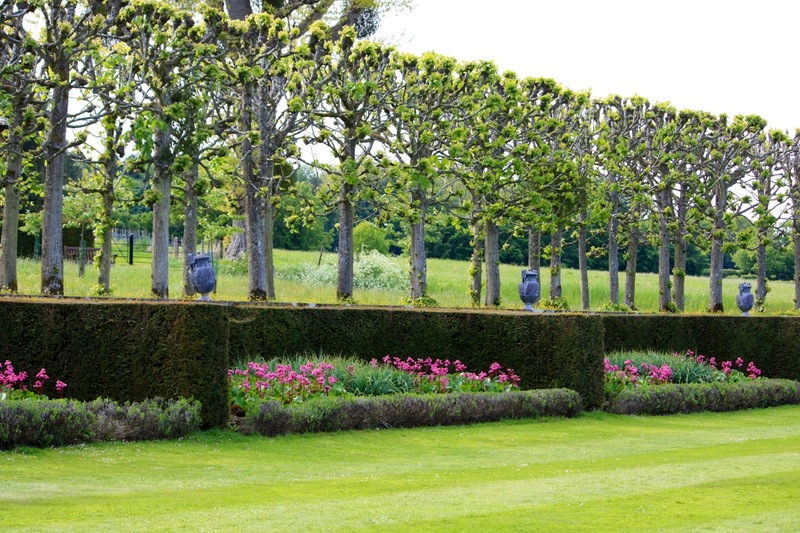 Mottisfont’s walled gardens provide a masterclass in how to prune roses, and the framework of hundreds of expertly maintained climbers and ramblers was still visible enough to be appreciated. I’m glad it’s not a job I have to tackle. Rosa ‘Desprez à Fleurs Jaunes’, a noisette rose from 1935. Rosa spinosissima ‘Glory of Edzell”, a hybrid introduced in 1900. 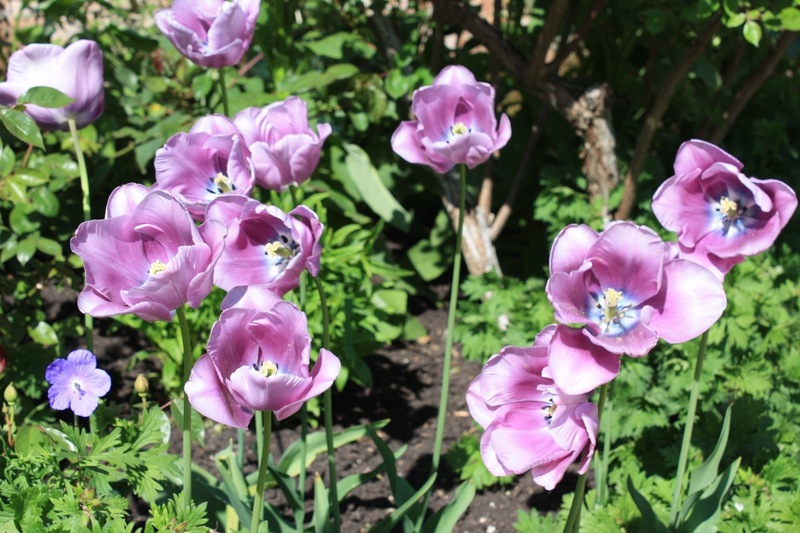 By rights, tulips should now be a rapidly fading memory. 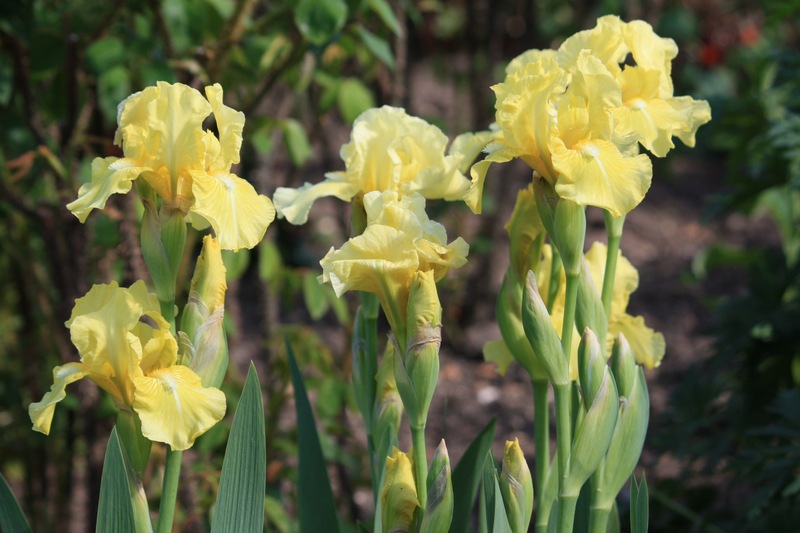 However the cool start to the year meant that many of the tall ‘cottage’ varieties were still in their prime. Catching my eye were graceful whites ‘City of Vancouver’ and ‘Maureen’ alongside clear pink ‘Survivor’. Planted in generous groups along the length of the rose beds they provided much needed punctuation in a sea of fresh, green shoots. Also complementing the roses were underplantings of hardy geraniums, Pulsatilla, Aquilegia ‘Mottisfont Long Spurred Mix’ and pure white Hesperis matronalis var. albiflora. 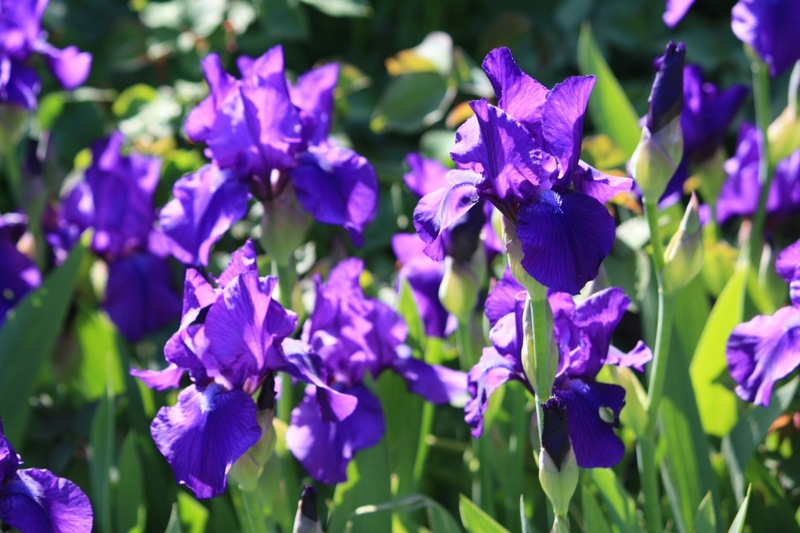 The scent of bearded irises, warmed by the sun, was almost intoxicating. Stand-out varieties were acid yellow ‘Lemon Flurry’ and violet purple ‘Arabi Treasure’ – sadly the pale mauve variety, pictured above, wasn’t labelled. A mention should also be made of the many clematis varieties at Mottisfont. These were already powering themselves up hefty poles, ready to adorn the apple trees which linger from the days when the walled gardens were used to feed the Russells and their guests. By the end of our visit I was severely testing the patience of Him Indoors. Frankly that doesn’t take a great deal, but he does tolerate a significant amount of sniffing, snapping and scribbling in notebooks. Here is a man who likes to appreciate a garden sitting down, either with his eyes shut or with his nose in a newspaper. I guess that’s why gardens have benches, and why I never end up sitting on them! Love that Noisette Rose! How unusual. Thanks Sandy. You can’t beat the old fashioned roses for all those tightly packed petals. Fortunately the new old-fashioned roses also flower more than once a year. Ah Oui! Glad you liked the post about Mottisfont, it’s really a very magical garden. Ahh yes. “He Sat Down” would make a fitting epitaph! 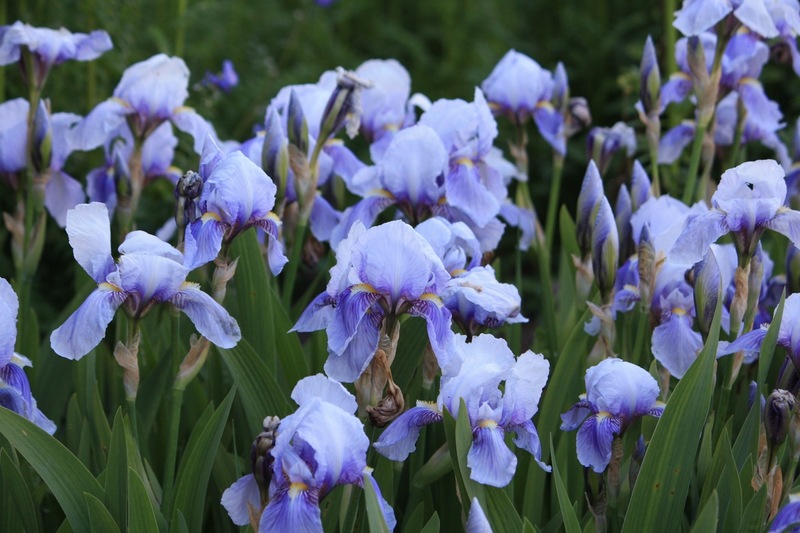 Lovely pictures, those iris are fantastic! 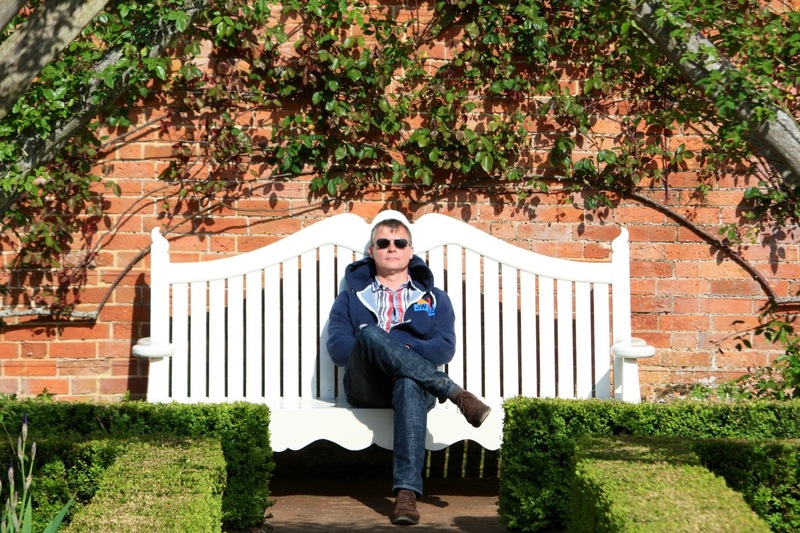 And Him Indoors picked a lovely bench to sit on. I am guessing his eyes might be closed behind the shades. We call it “thinking” in our house. Hmmm….I think there are a number of names for it, yours is one of the politer ones. I’m just impressed he managed to plonk himself down so symmetrically! If you didn’t stage the photo of Him Indoors to get him to sit in just the right spot, it is uncanny on how it turned out. And, of course, the garden and flowers are gorgeous. No point trying to stage anything with Him Indoors – far too disobedient! That noisette, ‘Desprez a Fleur Jaune’, is a hundred years older than the post states– it’s from 1830.